COLUMBUS SHIPS PINTA AND NINA TO LAND IN ORANGE BEACH! Orange Beach, AL. 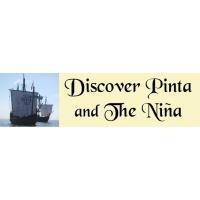 —On Friday, February 15 the ‘Pinta’ and the ‘Nina’, replicas of Columbus’ Ships, will open in Orange Beach. The ships will be docked at The Wharf, 23101 Canal Road, until their departure early Monday morning, February 25. Teachers or organizations wishing to schedule a 30 minute guided tour with a crew member should call 1 787 672 2152 or email ninapintatour@gmail.com . Minimum of 15. $5.00 per person. No Maximum. Visit our website at www.ninapinta.org. The ships arrive on Thursday, February 14 and there will be a private viewing of the ships for the media after docking.